On Sale Now! Free Shipping Included! 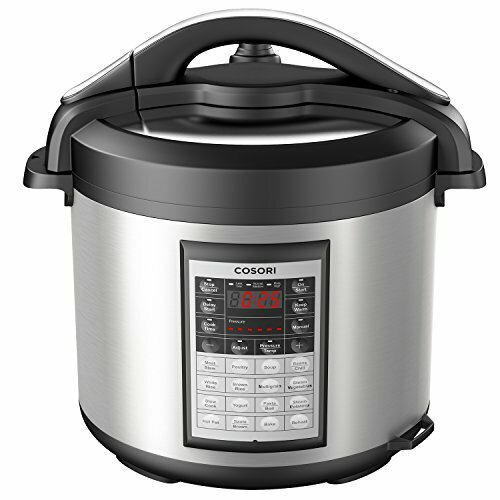 Save 8% on the COSORI 8 Quart 8-in-1 Multi-Functional Programmable Pressure Cooker, Slow Cooker, Rice Cooker, Steamer, Sauté, Yogurt Maker, Hot Pot and Warmer, Full Accessories Included, Stainless Steel by COSORI at Baking Love. MPN: CP018-PC. Hurry! Limited time offer. Offer valid only while supplies last. ETL, cetl, FCC & FDA-approved; 9 safety mechanisms ensure safe operation for daily use by beginners or Professionals. Also comes fully equipped with a glass lid, stainless steel steam rack, Ladle, rice Spoon, and measuring cup. If you have any questions about this product by COSORI, contact us by completing and submitting the form below. If you are looking for a specif part number, please include it with your message.